The course is 60 guided learning hours and includes self study and 5 days training and assessment at the Wilkinson Welding Academy. 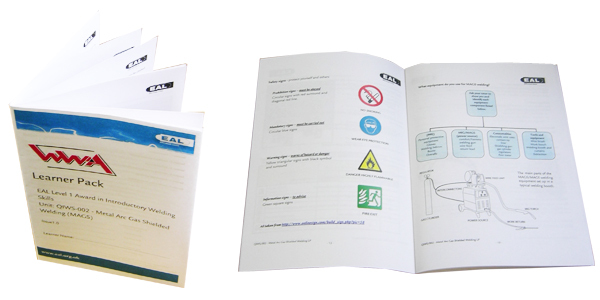 Trainees will receive a self study booklet that can be kept as a useful resource about the welding process. The qualification was developed to fill an identified gap in the market for an introductory level welding qualification. support approved retention and attainment at Level 1. The qualification has been developed in close consultation with colleges, training associations and industry to ensure that the qualification meets the needs of the engineering and education sectors. The assessment for this qualification will include 5 practical tasks and a knowledge test. All tasks will not exceed 45 minutes. Blue Training on 0844 879 4491. Blue Training will arrange a preliminary training interview for you at the Wilkinson Welding Academy.